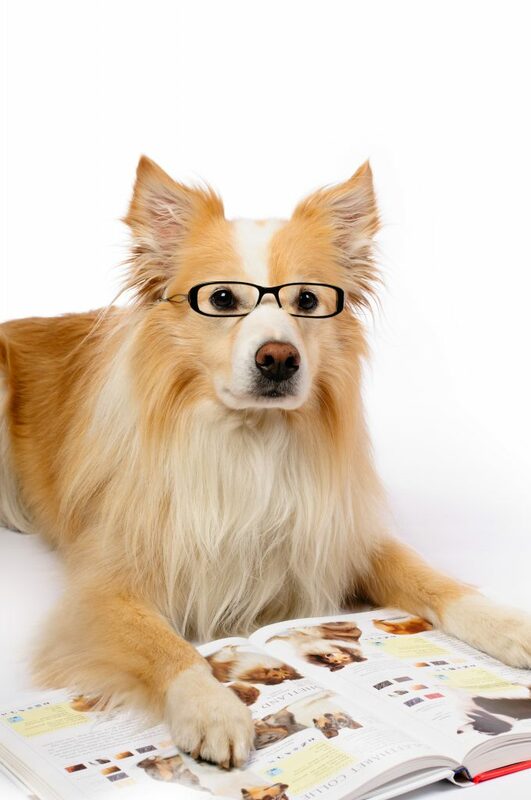 Toby Loves Professional Pet Sitting Etc Newsletters !! Newsletter Author and creator, Professional Pet Sitting Etc. Leash Training Your Cat ~ Yes, It Can Be Done! How nice would it be to take a leisurely stroll with your cat walking by your side? And how much would your cat enjoy being able to take in all the sights and sounds he normally sees and hears only through his favorite window from the safety of his home? You and your cat can enjoy the niceties of an outdoor walk simply by training him to walk on a leash. Contrary to popular belief, yes, it CAN be done! 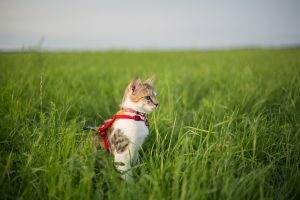 Now, you know your cat better than anyone, so if you suspect your cat will scoff at the idea of wearing a harness and walking while attached to a leash, you’re probably right. But it can’t hurt to try! Purchase a well-fitting harness for your favorite feline. 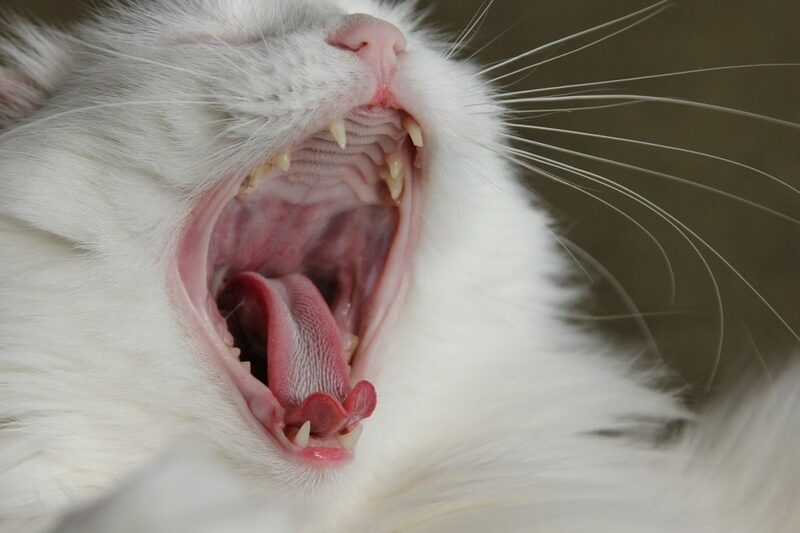 A collar is not advisable as cats are known for their flexibility and can easily slip out of a collar, especially a safety collar. With a harness, it will be easier to attach a leash and, when fitted properly, can be quite comfortable for your cat. Besides, a harness offers greater safety for your cat in the even he decides to run up a tree as it won’t choke him like a standard collar will. There are harnesses designed especially for cats with the ring to attach the leash located closer to the center of the harness rather than at the neck, which is safer and less stressful for your cat. Don’t go out and buy a harness and leash, rush home and put it on your cat right away. Give him time to adjust to the contraption. Let him play with it for a while first so he can get accustom to it. Obviously, don’t let him play with it so much that it gets damaged, but enough to give him the chance to become unafraid of the harness so he’ll be more accepting when you go to put it on him. Place the harness loosely on your kitty and see how he reacts to it. If he is willing, tighten the harness appropriately, attach the leash and practice walking your cat around your house. This will help him become comfortable wearing the harness and acquaint him to the feeling of the leash. When you feel confident your cat is doing well and is comfortable walking in his harness and leash, take him outside for a walk. Let him set the pace, as it may be daunting for an otherwise indoor kitty to suddenly be outside. If he shies away from any step, simply go back and try again. Be patient! Don’t rush it! Your cat may experience a flood of emotions while learning to walk outdoors on a leash. For example, he may be frightened and freeze in place at first or, to the contrary, he may get overly excited, go hog wild and take off running. As the saying goes, all good things take time! As anyone who is owned by a cat will know, they differ from dogs in that they do what they want, when they want, and how they want. But if you and your kitty can work together to perfect his leash walking skills, he will surely thank you for the outdoor experiences with extra special purrs, kitty kisses and eternal love! Do you hate ticks as much as I do? Ugh! You and your precious pooch have just returned home after a pleasant walk around the neighborhood and, to your disgust, you find a nasty blood-sucking parasite known as a tick has hitched a ride on Fido’s leg. As you know, ticks are not only disgusting and a terrible inconvenience, but they can also be devastatingly harmful to your dog if not taken care of properly. Ticks can transmit diseases such as Lyme disease and Canine Anaplasmosis, just to name a few, to your dog, resulting in symptoms ranging from fatigue to death. So, what should you as a devoted pet parent do when you discover a tick on your pooch? You must remove it! Here’s a simple step-by-step guide on the safest and most sanitary method of removing a tick that has latched on to your dog. Depending on the size and behavior of your dog, you may need to enlist the help of a friend or family member when it comes time to remove the tick. For your safety and that of your pooch, you don’t want your pooch to squirm or move suddenly and disrupt the removal process. 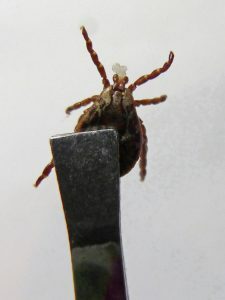 Once you are certain he is either held firm, or he’s in a position of comfort and you know he will remain calm and still, pull his hair back from around the tick and use the sterilized tweezers to clasp the body of the tick, as close to the base (where the tick has attached to your dog) as possible. You don’t want to pinch the tweezers too tight, or pull suddenly, as this can sever the head and leave the mouth in your dog’s skin. To extract the tick, pull slowly and steadily in one fluid movement until the entire tick is removed. Drop the body of the tick into the plastic bag of alcohol, which will immediately kill the tick. Immediately wipe the bite wound with antiseptic and be sure to re-sterilize the tweezers before putting them away. Note ~ if you suspect your dog may have contracted a tick-borne disease or infection, secure the bag that contains the tick and bring it to your vet, along with your pooch, for a thorough review. Keep a close eye on the area where the tick bit your dog, remaining on the lookout for possible infection or irritation. If your dog shows symptoms such as swollen joints, fever, loss of appetite, lethargy and/or pain, it is possible the tick passed on a disease and you should visit your vet without delay. So, now you know the proper method of tick removal that will keep both you and your pet safe. Don’t be remiss and simply squish the tick upon removal as it can secrete infected fluids. Always dispose in alcohol, which is the best way to guard against infection and disease.